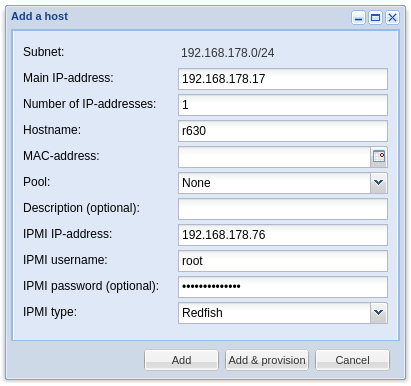 In the latest NOC-PS version you can select “Redfish” as “IPMI protocol” when adding new servers. Redfish is a new REST API that is supported by most newer servers, as alternative to the older IPMI RMCP+ protocol. We use it for the same purposes such as telling the server to power on or off, and telling it to perform a PXE boot. 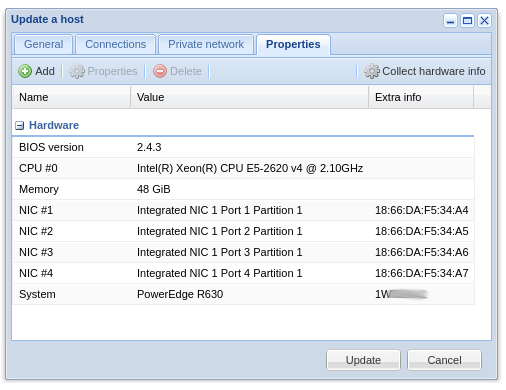 If you don’t know the MAC address of the server you are adding to NOC-PS, you can now leave the “MAC field” blank. 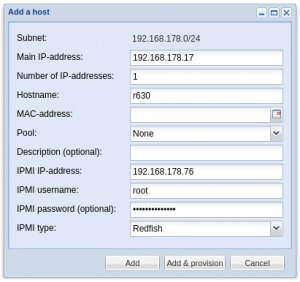 If “redfish” is selected as IPMI type we will use that to look it up. It is more secure. The RMCP+ protocol -by its mutual authentication design- allows anyone to fetch a hash of your IPMI password! Redfish does not. 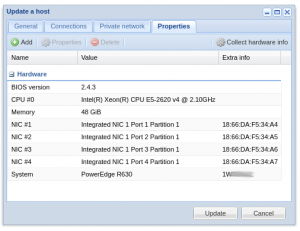 We can obtain some basic extra hardware information such as CPU, memory and the MAC-addresses of your NICs using Redfish. Information is made available in the server “properties”, at the same place information obtained through running our “collect hardware information” profile is stored. The Redfish implementations of some vendors currently respond rather slow to our commands. For Supermicro servers you need a license to activate Redfish. 🙁 Other vendors do not charge.